Bethany Griffin reads from Handcuffs. ; Hannah Moskowitz reads from Invincible Summer. ; Suzanne Young reads from A Need So Beautiful. ; Mandy Morgan reads from Mortally Challenged. 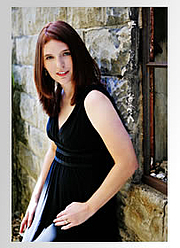 Bethany Griffin is currently considered a "single author." If one or more works are by a distinct, homonymous authors, go ahead and split the author. Bethany Griffin is composed of 1 name.